Have you ever seen a blue elephant? How about an elephant with polka-dots? Imagination was the only limitation at the Elephant Festival organized by Elephant Family and Elephant Parade in London. Trying to use art to raise awareness about the elephant’s plight, artists young and old were commissioned from across the world to create pieces inspired by the world’s largest land mammal. 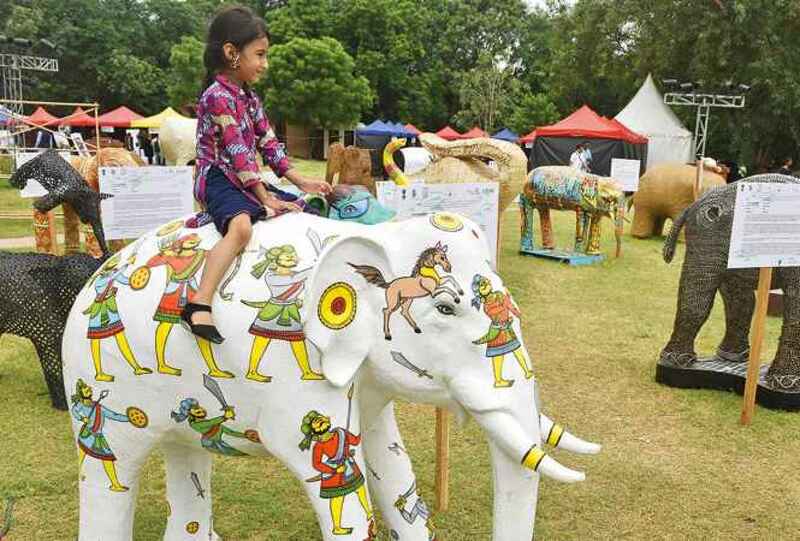 The elephants have been displayed across the world and have finally landed in Delhi for a four day festival where they are being auctioned off to benefit The Wildlife Trust of India (WTI). This is the only type of elephant you should be riding. To see more photos, head over to the Times of India to see their photo essay.